What is a Blocked Call or Unknown Caller on Cell Phone | Free Pc to Phone Calls, Free Voip Calls to India International ! Few days back, I started getting lot of phone calls on my mobile (sometime once or twice a day) with a number that showed up "Unknown Caller" or sometimes as "Private Number". Though I didn't responded to that phone call, but it still bothers me. I want to know who's calling me up again and again and disturbing me. Does the above scenario looks familiar to you, Have you faced the same situation before, if yes then read on. So I finally googled what exactly are these unknown caller on my mobile with no number. I really wanted to trace that phone call. To my surprise, I was not alone receiving these types of phone calls where nothing is displayed as phone number. Many people were receiving such private number phone calls on their iphone, android, even landlines. These were what people call as "blocked phone calls". A 'blocked number' means that the caller has their caller ID with-held. In simple words, caller does not want to show his caller id while making this call and has withheld his number. For landlines, it's an option which is set with the telco. On mobiles, it is easily adjusted on the mobile handset. Home phones, people who like their privacy and institutions occasionally have their caller ID with-held. You can make private calls by putting 141 before a number you dial or most mobiles have an option of withholding your number. Remember the iPhone will show "blocked" but other phones show "withheld" or "private" etc. "blocked caller" is showing on your iPhone as the person who calls you is either hiding their number with the 1831 override code or has their number set to not show when dialing out, or they are ringing from a work phone which has outbound call numbers blocked via pabx as well. The iPhone allows you to hide your number when dialing out – the Police, Ambulance, Fire Brigades will always see your number. Next thing which I wanted to how to know the caller id. As this thing is quite common, so the solution was not difficult at all. There are many services which offer the unmasking service and can easily unblock such calls to show the caller id. 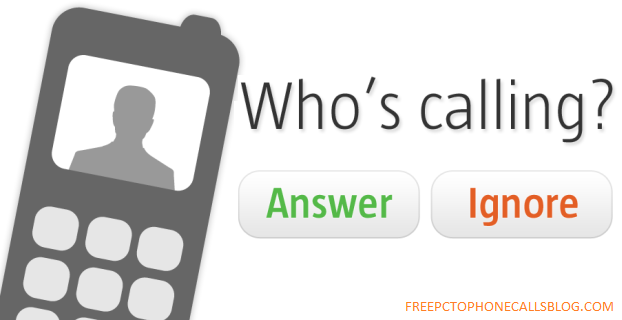 The most common and most widely used service was TrapCall. Without going into details, I found this review about trapcall very useful. It works for most telecom services in USA and Canada. Trapcall plans are very cheap and affordable. For me it was just one month cost (I discontinued the service once I was done with this thing). I straight away purchased the cheapest plan and voila it worked. I was able to find out who was calling me. Aaahhh... it was my buddy who was just trying to have some fun! this is also an issue with some telecom companies who save money with this scheme, their calls are routed through the internet to the receiving country exchange which in turn call the final receiver through their local call, finally displaying a "local number/private number calling" for the final receiver.